The Account Stats endpoint allows you to query FullContact to view your API account usage for the current month or a previous month that you can define using the optional period parameter. Note: This endpoint is rate-limited to 30 calls per hour. This API key is assigned to you by FullContact. It is used to identify and authorize your request. Your API key should be kept private, and should never be displayed publicly. You can define the month that you want to see usage stats for by using the period parameter. The format is YYYY-MM (period=2012-08). The API will respond in JSON or XML. 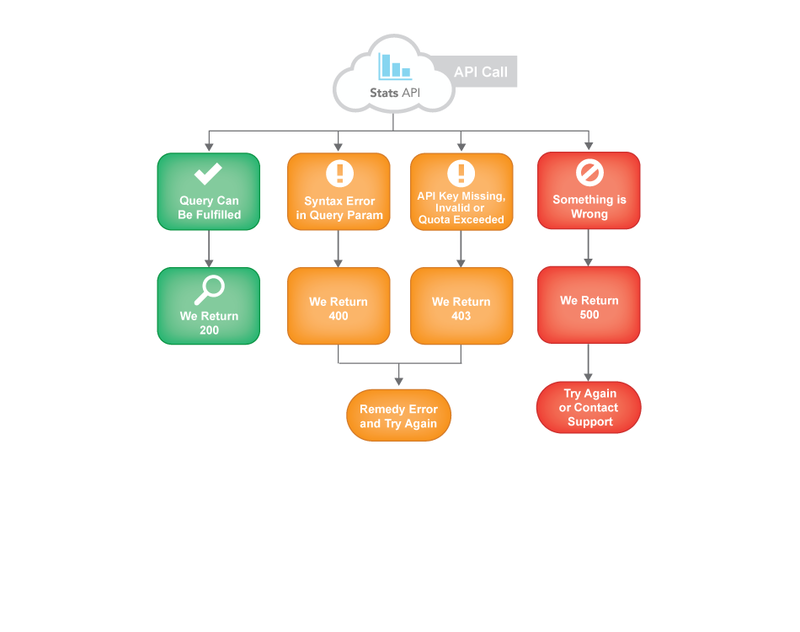 The following is a description of the Account Stats API response schema. It includes every possible field, collection, and value you can expect to receive. Note that certain fields and collections will only appear in the response when the data is available.